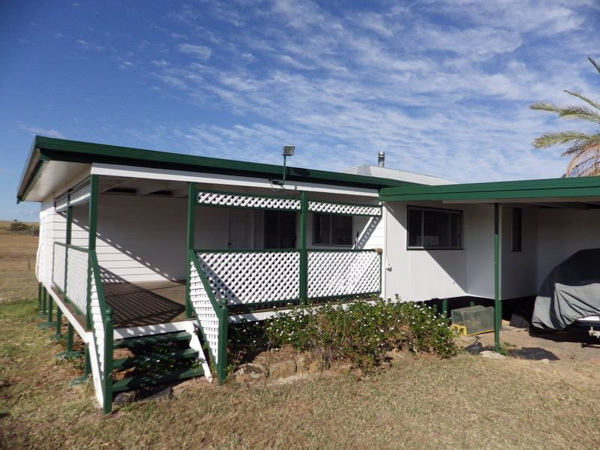 with a large set of cattle yards. When we inspected the place in May there was a huge body of grass (though I have been farming long enough to know that there is no such thing as a drought-proof place) and we couldn’t find a skinny cow within 100kms. The top of the property looks west to the Carnarvon Ranges and will be terrific for sunset drinks. I am already planning the construction of a stubby hut and fire pit. The house could use some renovations – though if the stubby hut construction has sapped all my building energy there is always a verandah to sit upon and I can gaze out upon a jacaranda. Or if all else fails, I can camp in the old house by the windmill. 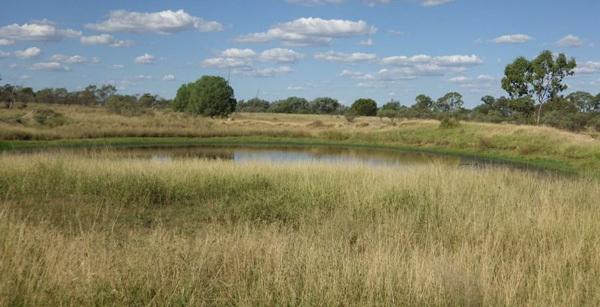 And get this: the property is only 6kms from a pub, which will be a bit like ground-hog day. Mind you the little town is a touch bigger than Coolatai. We will move from a population of about 40 to a population of about 400. I am not sure how I will handle the crowds. My only real concern is dingoes – native wild Australian dogs. I worry how they will cope with fox terribles. But all of this means we will be leaving Rocky Springs, which means there is just enough time for one more blog post ……. 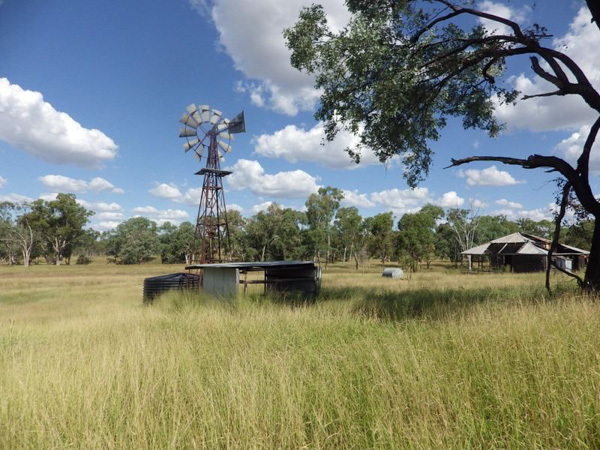 This entry was posted in Far Horizons and tagged cattle farming, Coolatai, dingoes, Rocky Springs, Rural Queensland. Bookmark the permalink. Thanks Naomi. Sounds like you are having plenty of adventures yourself. I’ve enjoyed reading about your jaunt through Indonesia. Looks like a beautiful ranch, Mandy. Congratulations on the purchase, and hope the blog does not stop at the end of Rocky Springs. Good luck with dingoes and fox terribles encountering each other. All the best to you and the crew as you prepare to move. Thanks Lavinia. It has been crazy busy here as you can probably imagine so I haven’t been over to your blog for a while.Will endeavour to be more faithful when we’re settled again. Oh wow, congratulations to you both….very exciting news! Will look forward to coming to visit sometime. What is the name of the town you will be near? I’m going incognito on the blog Julie, so give Brian a call and he will fill you in on the details. I turn my back for just awhile (okay, months, we of broken bones around these parts) only to learn of this magnificent move! Best of everything to you all, of all leg numbers! “You mustered up the courage and crossed the Great Divide.” (I forget who said that, sorry…). Never turn your back on the Rambles Elaine!! All the best for this exciting change of venue. We look forward to more interesting words from you in due course.